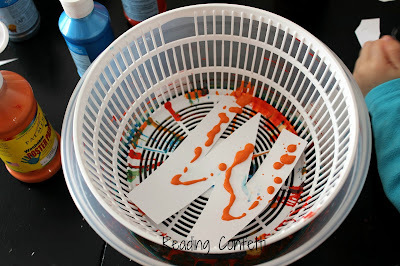 I admit I'm a procrastinator - I've been wanting to try Imagination Tree's salad spinner art with my kids for a loooong time. At a recent trip to Ikea I found a salad spinner for 4 bucks and though it's never dried a single leaf of lettuce, it's been worth every penny. Our first project was making a welcome home sign. I cut some letter shapes from paper and taped them to the bottom of the salad spinner. Once the kids squirted some paint in there and closed the lid we were ready to spin. 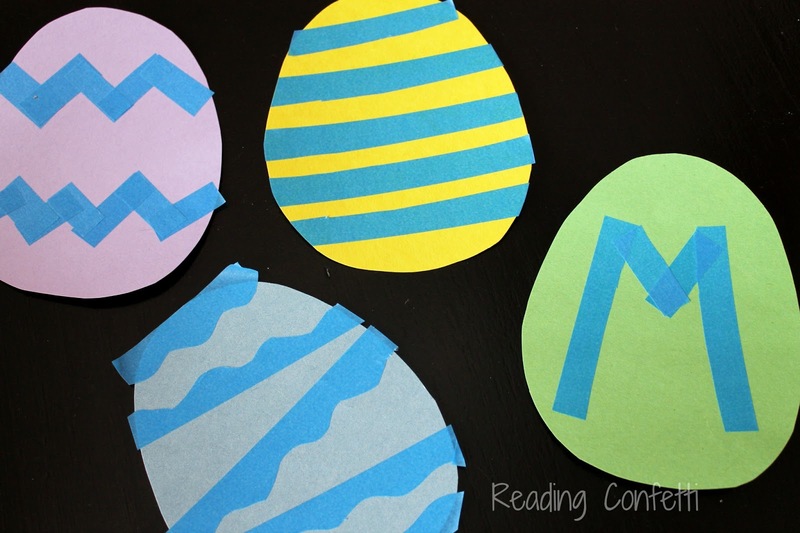 Our next project was Easter egg shapes. We tried some tape resist this time. 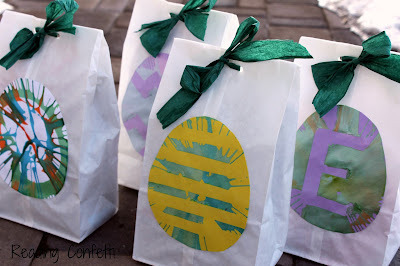 We used our eggs to dress up some plain white lunch bags that we filled with goodies for Easter gifts. Am I the only person on Earth who hadn't tried this genius idea yet? Do your kids love it as much as mine do? What did you make? Now I need a salad spinner!! Not that I plan to spin any salad, but that art is cute, cute, cute.